As the build-up to the March 27 election continues for the posts of president and vice-president of the West Indies Cricket Board (WICB), cricket fans are asking questions about an alleged spilt among the candidates. The candidates for the presidency are the incumbent Julian Hunte, the 73-year-old St Lucian businessman who has been at the helm for over three successive terms, and Jamaican Wycliffe "Dave" Cameron, 42, vice-president throughout Hunte's six years. So understandably many assumed that he would automatically be next in line on Hunte's expected departure. Both men have lined up their choices as vice-president, submitted their manifestoes to the territorial boards, whose votes will settle the outcome, and have done their canvassing with much behind the scenes campaigning. 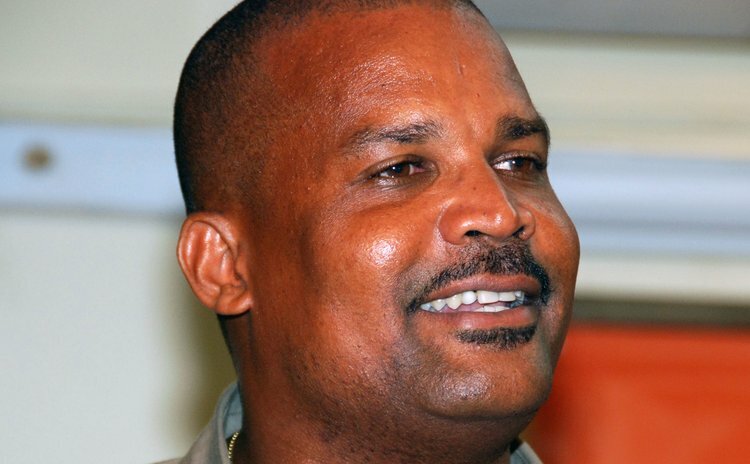 The plot thickened recently as Hunte, in an interview in the Barbados Nation, refuted claims that he had informed his directors that he would not be running. "I never ever informed the board that I was not going to seek re-election; to the contrary I said to the board that some of my actions and utterances may have led them to believe I was not seeking re-election. I did say to the board in January, I was going to seek re-election," Hunte said. Then, acknowledging Cameron's "right to compete", he said that was in order for him as well "if I may have had second thoughts of running to change my mind". The reason, he explained, was that "several persons" approached him to run again as they felt there were "some things that were still required to be done and that it would be better for me to handle them rather than pass them on". As the controversies brewed, and the allegations flew, Julian Charles of St. Lucia has made it clear that he is supporting Julian Hunte with many claiming that Dominica's Emmanuel Nanthan had "not said he was running and wanted to highjack the Windwards vote." An even more notable coup was in securing Nanthan, president of the Windward Islands board, once a position held by Hunte, as his choice as vice-president. "I was asked by Cameron and Joel Garner since June last year to be their vice president and then later Joel (Garner) decided that he no longer was interested and then he came back. I have always been interested in serving West Indies cricket," Nanthan told the SUN. When pressed further he said: "I have spoken already on this matter, this election issue has created a lot of media talk and I don't have more to say on the matter." How Nanthan reconciles the issue of Windwards' reportedly batting for Hunte (and his running mate, Joel Garner, the Barbados Cricket Association president and giant West Indian fast bowler is not clear. Of the other territorial boards, Barbados and the Leewards have shown that they are their in the Hunte-Garner corner, although there are known to be those within each board dissatisfied with the way the issue has been handled and are moving to have the decisions reviewed. The one other territorial member is the Trinidad and Tobago Cricket Board (TTCB); it prefers to keep its cards close to its chest and has said nothing.